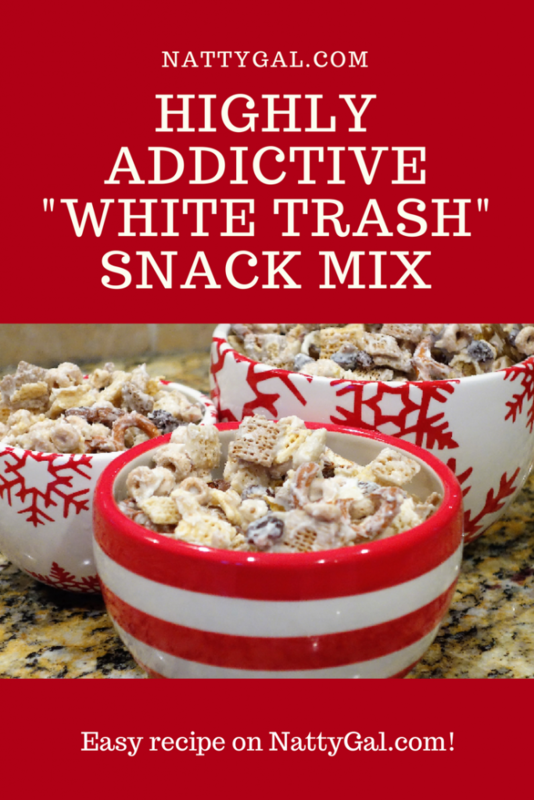 My mother-in-law is a real fan of white chocolate and in the early days of dating her son, I tried to win her over by bringing this snack mix to her family Christmas celebration on Boxing Day. In recent years I’d stopped making it but had a request to bring it back this year. 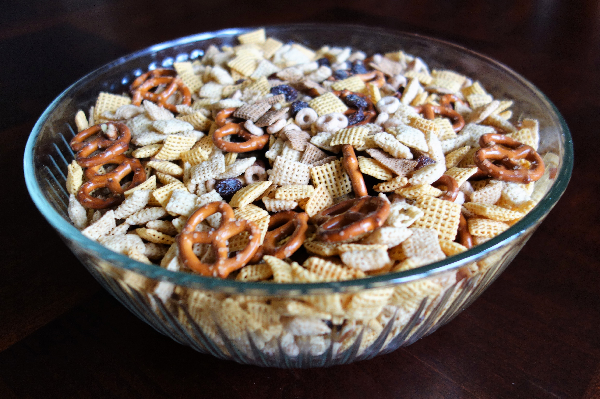 The dry mix – use a really big bowl! Melt 2 pounds white chocolate in a double boiler. If you are skilled at melting chocolate in the microwave, that works too – I just always happen to burn it that way. 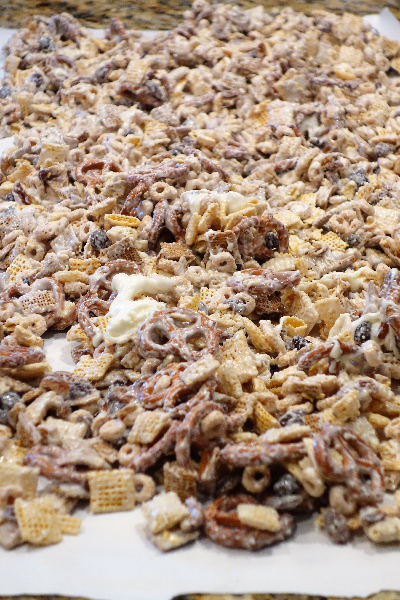 While warm, stir gently into snack mixture. I sometimes find it easier to work with two smaller batches as I have a hard time finding a bowl big enough for the full recipe. Spread on wax paper or parchment and let harden. Break into pieces and store in an airtight container. Let the white chocolate coated mixture harden. 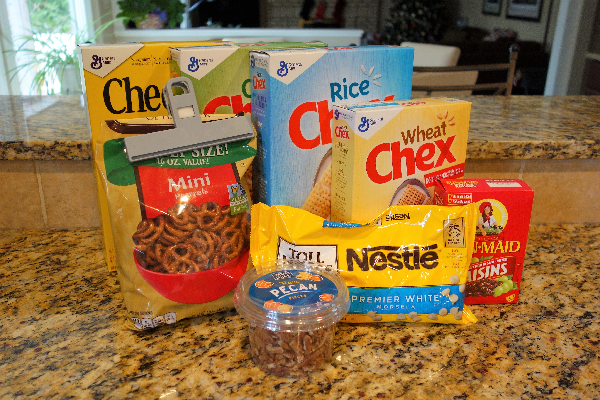 Call your local snack mix detox center! This recipe originally came from the mom of a high school friend. While the friend and I have since lost touch, I think her mom would get a kick out of the fact that I’m still making her “secret” recipe. Hope you enjoy it as much as our family does! 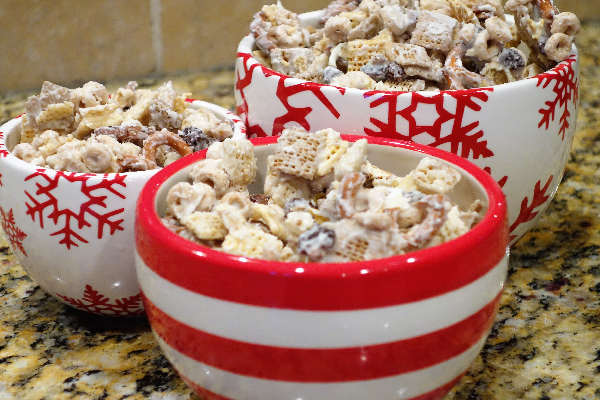 Elizabeth, this does look amazing and highly addictive! I just pinned it for later. Have a very happy holiday, my friend! Thanks Michelle and Merry Christmas to you and your family! Hope you enjoy some well-earned rest and relaxation! Previous Previous post: Show Your Sparkle This New Year’s Eve!